It’s been a long time since the last update. That’s partially down to the graphical upgrade taking longer than we thought, so we’re moving the new graphics into a later update. That way you won’t have to wait for other new features, bug fixes and polish. Upgrading the graphics is not simply a case of replacing all the art — when you have more detailed art repeated tiles look very bad, and things that didn’t previously need detailed animation suddenly do. A lot of changes to the engine and even the map generation have become necessary. It’s an interesting subject actually and it would make a great topic for another blog post. 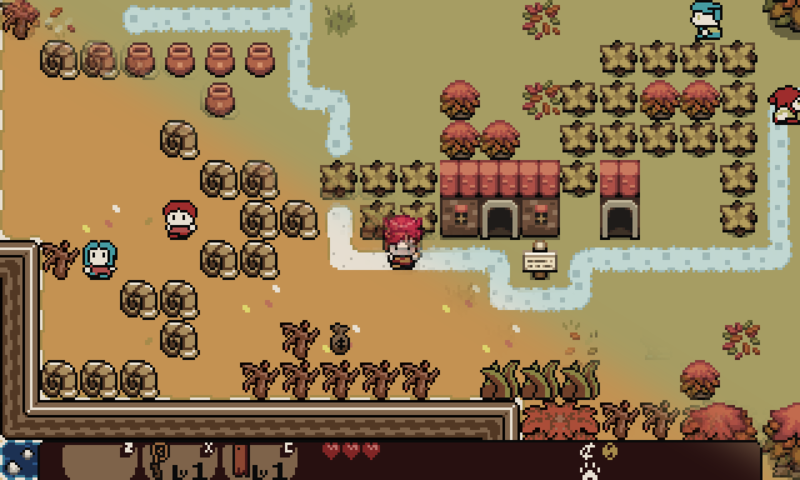 We want Lenna’s Inception to be the best that it can be, so we have decided to spend the time to make sure the graphical upgrade is properly supported by the rest of the game. Several new items including an axe, a lasso and a chain. But beta8 won’t include the new graphics. I aim to release this as soon as possible, and a few months later we should have beta9 ready with most of the new graphics in. If you want, you can see our plan for the updates after that, as well as all the tasks currently in flight, on our trello board. ← You got the Broken Floorboard! I should mention that I actually do check this every day, and when I hear “6 months between updates is not OK” and “I aim to release this as soon as possible, then a few months later we will have beta9 ready…” I’m expecting an update within the next few hours. Maybe a few days at the most. It’s been 23 days with since this post. Where is beta8!? I haven’t started any new games because I thought it was going to be here any day… for over 3 weeks.